The focus of the car dealership industry is so often placed on sales. Vehicle dealership employees are expected to sell and maintain healthy profit margins; it’s what makes the world go round and ensures dealerships live long, prosperous lives. Only, without prospective customers wandering through the front door, the process of selling becomes rather tricky. 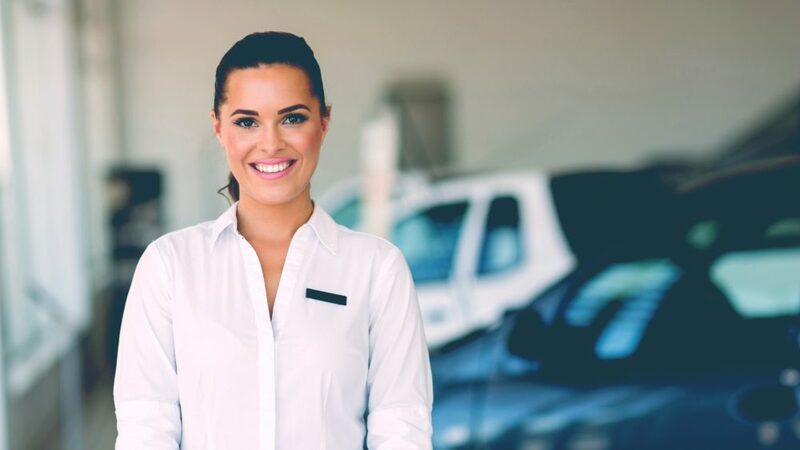 The marketing arm of your business may be given short shrift – particularly if you’re adverse to investing in the services of external assistance – but it’s that part of your dealership that will tempt people to enter the building in the first place. Are you simply advertising your cars online with photos and brief descriptions of the spec highlights? If so, you’re missing a trick. We’ve all got powerful video cameras in our pockets these days that come in the form of smartphones, and they can be used to your advantage as a car dealership. People love to watch video online and immerse themselves in potential purchases, so try making short, thirty-second videos of the cars you’re selling by walking around them (and venturing inside) with your camera and post the resulting footage on your website and social media page. An old trick, but one that is still relevant today. Don’t just send out your newly-sold cars with standard license plates – fit them instead with frames that display the web address for your dealership. If a potential car buyer is sat in traffic and spots your web address on the car in front, they may just make a mental note to visit you later that day. Facebook is far more than a platform on which people share their holiday photos – it’s also a vibrant marketplace that is full of in-market car buyers. By setting aside some time to learn the way Facebook advertising works, you can aim car adverts squarely at an audience that is most likely to buy. Facebook’s wealth of demographic and location-based data is a goldmine for car dealerships and may take the pain out of listing cars on standard marketplaces that work on luck rather than strategy when it comes to attracting buyers. Google’s Adwords platform is similarly powerful but the audience is even larger. The key difference between this system and Facebook’s lies in the ability to pitch your dealership based on specific keywords used in search phrases. For instance, that means you can attempt to rank highly for searches based within your location or for particular car models in which you specialize. Using the latest available cloud-based dealership software, you can combine multiple channels and online advertising platforms and run them from one system, thus gaining full control of your audiences, promotions and any leads that result. Why are your best cars hidden away at the back of the forecourt? You’ve got a patch of grass outside that’s yours and which is begging for one of those cars to sit proudly on it with a ‘For Sale’ sign attached. Similarly, if your showroom doesn’t feature it’s most sought-after vehicles at the front near the window, you’re missing a brilliant, tried-and-tested marketing trick. One look is all potential customers should need to give your dealership in order to be tempted in. You might find this an odd recommendation in a world of email marketing and social media, but regular mail campaigns still have their place and benefit from being a novelty in the digital age. Much like email, ‘snail mail’ (as it’s often referred to), has a defined, single end-point (the recipient’s mailbox) and with an integrated dealership marketing platform, you can easily design, produce and analyze the performance of such campaigns. Few people expect to receive traditional mailings of this nature, therefore if your latest vehicle brochure or forthcoming weekend sales promotion drops on their doormat, it’s likely to enjoy a high level of engagement. Marketing will drive potential customers into your car dealership, but the effort extolled on campaigns like those above is easily dismissed as frivolous. Trust us – it isn’t. Try them out for yourself and experiment; we think you’ll be amazed by the results.